Without question, suicide leaves a community mourning, grief-stricken, and devastated. Nothing can account for the loss of life and potential suicide leaves the family, friends, and greater community to deal with in the aftermath. As we work to raise awareness for suicide prevention this month, we’d like to highlight the increase danger foster youth face. We can only work to prevent suicide amongst foster youth by acknowledging their increased risk, as well as teaching prevention methods to foster caregivers, professionals, and our greater community. Studies show that foster youth experience a higher incidence of PTSD than combat veterans, so it is easy to see why the same youth are 3 to 5 times more likely to die by suicide than their peers. Suicide ideation is often the result of sustained trauma, depression, and other mental illnesses, which studies routinely show plague our foster youth before they enter long-term foster care. These disheartening statistics do not apply solely to current foster youth, as studies also show transitional foster youth are more than twice as likely to suffer from suicide as their peers. These statistics do not have to plague or foster youth. It may be impossible for us to change their past, but our actions can directly impact, and reshape their future. The first step in preventing suicide in foster care youth is learning how to identifying youth in danger, and becoming aware and informed of the warning signs. Sadly, many youth in foster care experience a multitude of risk factors that increase their likelihood of engaging in suicidal behavior. To combat these risk factors, caregivers, foster parents, and professionals should work to establish protective factors in at-risk foster and transitional foster youth. A lack of access to help and support further isolates foster youth, and continues to create challenges for the youth’s emotional healing. Through providing these protective factors, and advocating and supporting measures that provide services that build protective factors, families and caregivers can help reduce or mitigate some of the risk factors our foster youth face. It is imperative that current and former foster youth receive trauma-focused therapy that teaches the youth positive ways to react to stress and manage emotional and traumatic triggers. 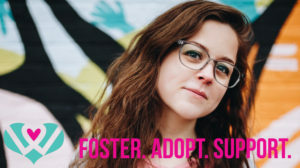 As a part of ongoing support and advocating for the foster youth, foster parents can attend mental health visits, and continue to talk with the youth about their positive steps towards healing. This continued support acts as a protective factor in the youth’s life. Here at Walden, we provide current and transitional youth trauma-informed therapy to help them heal. We holistically engage their caretakers in ongoing support and education to foster healing, and work hard to build a network of caregivers and adults committed to our youth’s success. We encourage you to join us, by helping to spread awareness and supporting our foster youth. As we embark upon a new school year with children and youth eagerly donning new backpacks of their favorite characters and colors, we must take time to consider foster youth and their educational journeys. Studies show that foster youth are at a severe disadvantage when it comes to reaching educational goals and success equal to their peers. Whether it is their high incidence of PTSD due to early childhood trauma, or their lower chances of completing high school and moving on to higher education compared to their peers, our foster children and youth need our help in reaching academic success. We must make sure foster children and youth do not fall through the gaps and cracks in education by implementing preventative and proactive measures that help our educators, administrators, and the educational paraprofessionals serving our youth. We’d like to share a few time-proven strategies teachers and administrators can implement to help foster children and youth succeed this school year, and beyond. Understand Their Life. Like people, all children do not have the same life experiences. For children and teens in foster care we must begin by understanding the often disruptive experiences they have endured. Most children in foster care have experienced trauma, including neglect and abuse, and have been taken away from their home because of a lack of safety, and physical and mental abuse. Knowing this helps teachers and administrators better understand a child’s distracted, detached, or even angry reaction towards school or adults. Know Their History. The first step towards understanding is becoming acquainted with the child’s unique history and background. 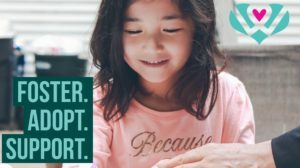 Do not assume to know why the child was placed in foster care, but instead work hard at learning and understanding the circumstances that led to the child’s placement. This is best accomplished by meeting with the child’s social worker, mental health professional, and foster parent. In this meeting the child’s educational team can learn the specific traumas and ensuing triggers the child is healing from, so they can help support the child’s healing by providing a safe, and welcoming environment. Advocate for the Child. One of the greatest needs of foster children are advocates to champion their success and continued growth and healing. Having a teacher or administrator work on their behalf as an advocate does a myriad of good in helping the child succeed and rebuild their life. First, educational advocates ensure the best decisions are made regarding the child’s future. Second, when a child sees adults advocating on their behalf it helps them regain trust in adults, something often broken through their traumatic experience. Finally, it is important for the holistic care and success of the child to have adults vested in their interest at all levels of their care. Foster Consistency and Stability. There are many reasons why foster youth struggle to finish high school at rates equal to their peers, but one of the main reasons is a lack of consistency and stability. Help foster children and youth by helping to removing barriers to regular school attendance, help foster children create a community that will support them, and be one of many relationships that grow with the child as they grow. By providing support with attendance, community, and relationship-building you help will foster children create a new identity built on a supportive community. Give Them Hope. When a child lacks hope it is hard for them to imagine a future of success. Foster children are often voiceless victims of neglect and abuse that makes them feel powerless over their lives. While they may not be able to change their past, encourage foster youth to see their future is in their hands and within their control. The best way to help foster youth is to mentor them, and help them gain and learn independent life and living skills, as well as encourage them to seek higher education and gain employable skills. For younger foster children, encourage and support their participation in arts, sports, music, and school clubs that will allow them to build meaningful relationship around similar interests with peers, and boost their self-confidence and esteem. We know all foster children and youth have enormous potential for healing and growth. Their success is guaranteed when they are surrounded by a team of educators and educational leaders who are not only committed to their well-being, but are also equipped with ways to support their growth.